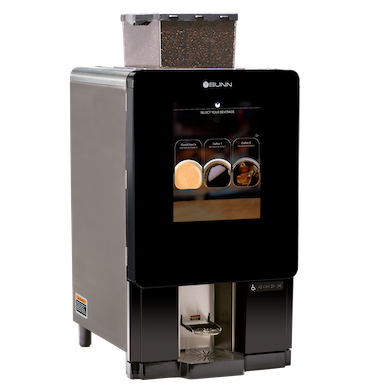 The Sure Immersion brewer gives you the precision to dial in coffees to meet the tastes of a wide variety of customers. The attention to detail during the infusion process is what sets Sure Immersion apart from other Bean to Cup systems. Sure Immersion delivers better taste and quality while remaining consistent throughout the day. For the best result in the cup, it’s all right at your finger tips. Whole beans are prominently displayed in two separate hoppers, denoting the freshness of each brew. The hoppers are designed with the perfect angle to ensure a consistent flow of beans, and each hopper has its own dedicated grinder. 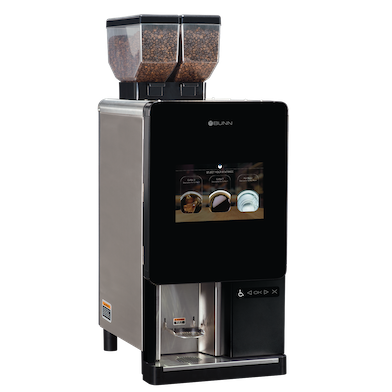 High quality burrs provide a uniform grind distribution and electronic dosing assures the constancy of the brew recipe. This is the foundation for full-on flavor extraction. BUNN’s Air Infusion process provides the tools for accelerating extraction and dialing in brewing recipes. Precise control over the time, frequency, and force of the turbulence ensure that each cup is consistently prepared to your desired flavor profile. 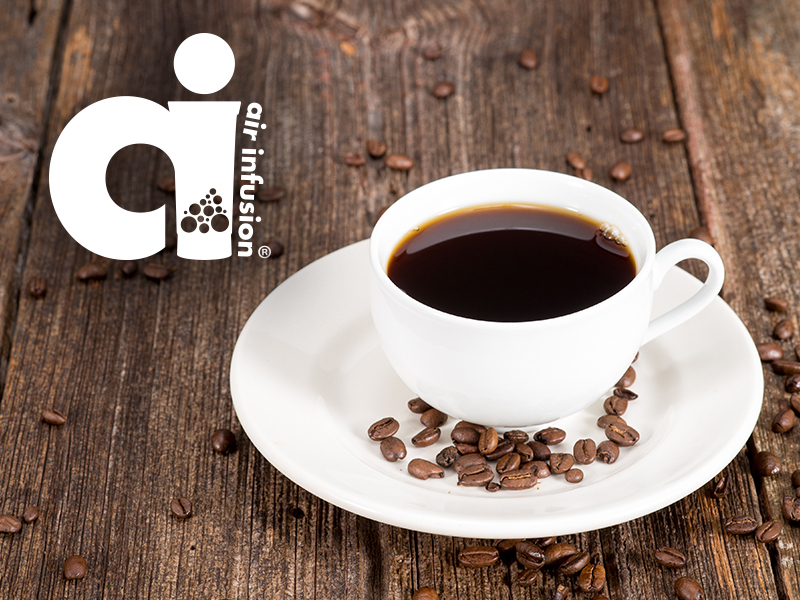 Air Infusion allows for increasing or decreasing body and for targeting certain flavor characteristics to unlock the nuance in the final cup. The extraction process is a hybrid of filter drip and immersion brewing that mimics other single cup processes. On one hand it is similar to flat bottom, paper filter, and on the other hand it mimics vacuum/siphon infusion. This hybrid brewing combines the best of these two processes and allows control over all the sensory aspects of each cup of Sure Immersion coffee. 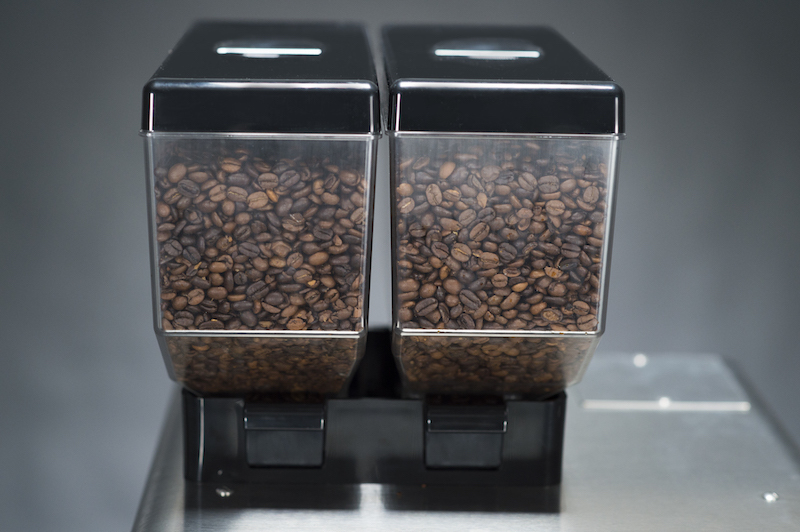 The 220 models feature two tinted 3lb hoppers that allow customers to view fresh whole beans before they drop into independent grinders (one for each hopper) with precision burrs for accurate grind profiles. Picture Prompted Cleaning™ displays high-resolution images on the 10" full color touchscreen to guide operators through each step of daily cleaning and weekly maintenance routines, as well as promotional graphics and videos. 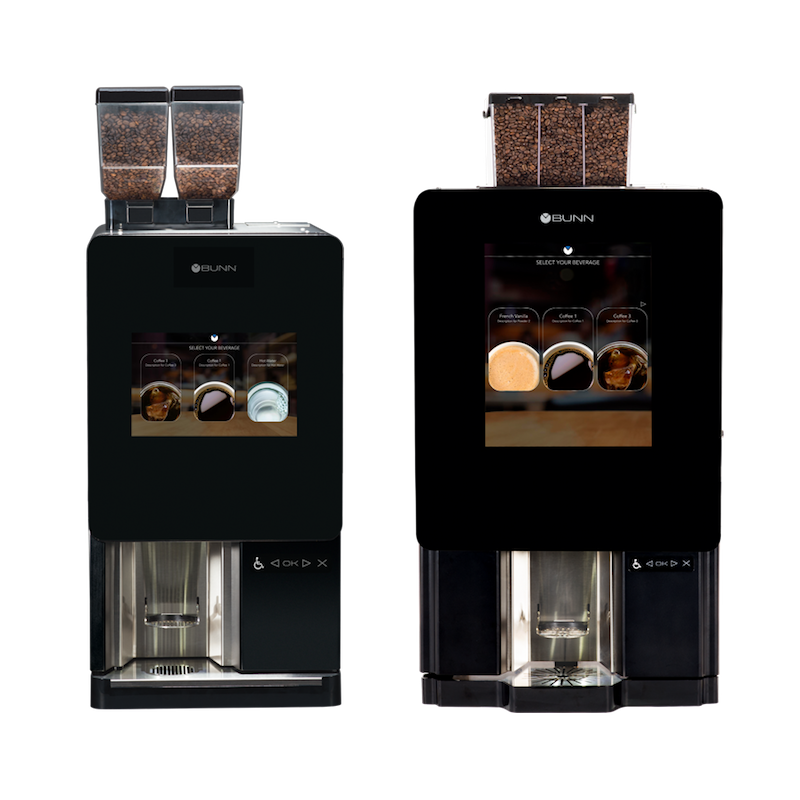 Dispense fresh coffee in 5 portion sizes, programmable from 6oz cup to 64oz carafe. 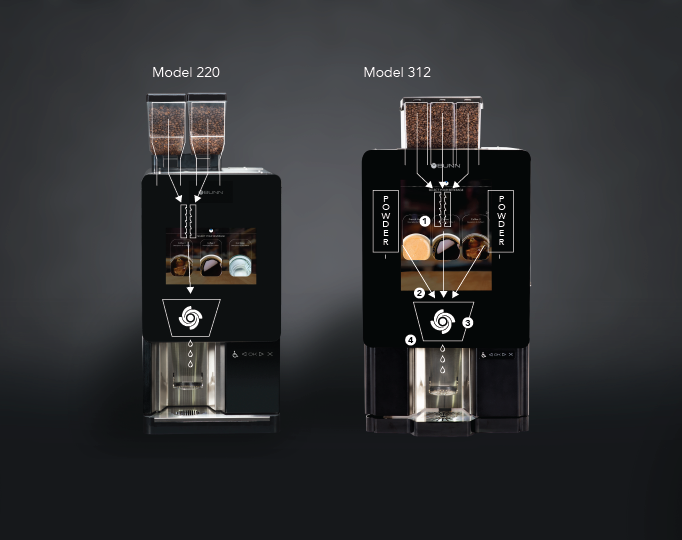 Boasting many of the same features of the 220 models, the 312 uses a single grinder to for 3 different bean hoppers, and two internal powder hoppers enable 2 café style beverages in addition to hot and iced coffee. The 17” touchscreen offers a larger display for user-uploaded promotional graphics and videos. Dispense in 5 portion sizes, programmable from 6 to 24oz cups, and up to 64oz carafe. Ready to learn more about Sure Immerson?